Karavan personal watercraft (PWC) trailers are designed to carry all two-and-three seat PWC's on the market today. Their tubular frame construction allows a fully-adjustable winch and bunk system. 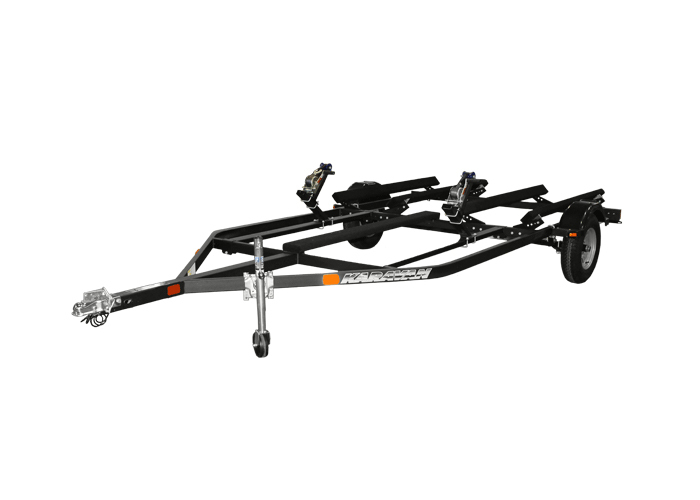 As you change PWC styles you don't need to replace your trailer. Our sure-lube grease system and enclosed plug wiring with submersible lights top off the perfect combination for a safe, reliable trailer.